A very compact system that delivers really big margins! The Flavor Burst system is a revolutionary add-on that allows you to add 4, 8, or 16 different flavors to your lineup, without adding freezers to your kitchen. 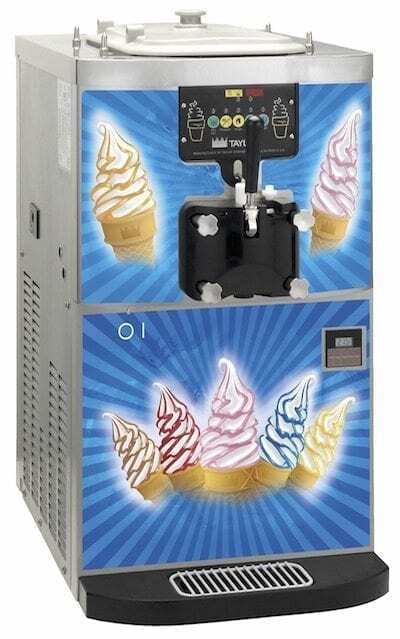 Flavor Burst adds a variety delicious flavors to your soft-serve ice cream or frozen yogurt. Creating a fun, colorful treat that will attract kids and adults alike. 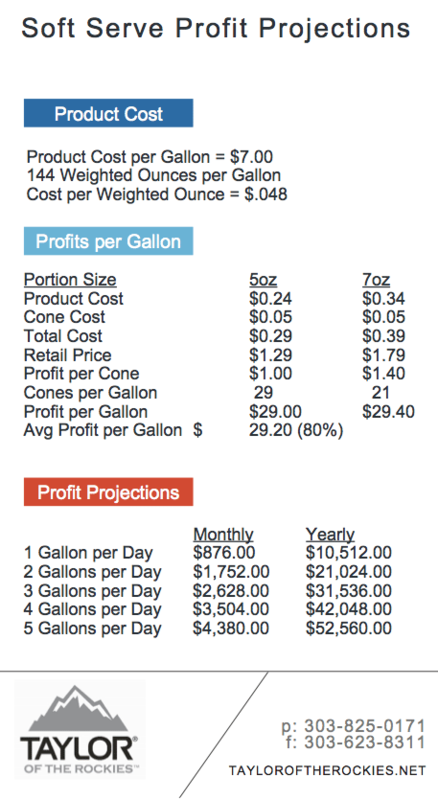 We’ve pulled together a profitability calculator to illustrate the enormous potential that can be realized with this equipment. 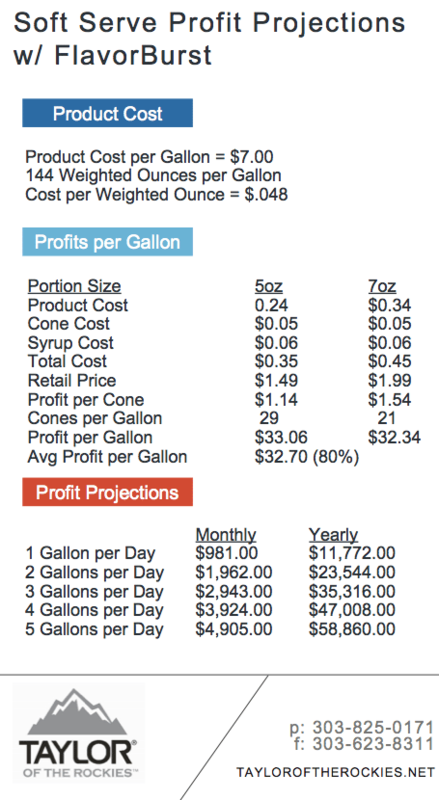 Check out the profit projections compared to a standalone soft-serve machine! 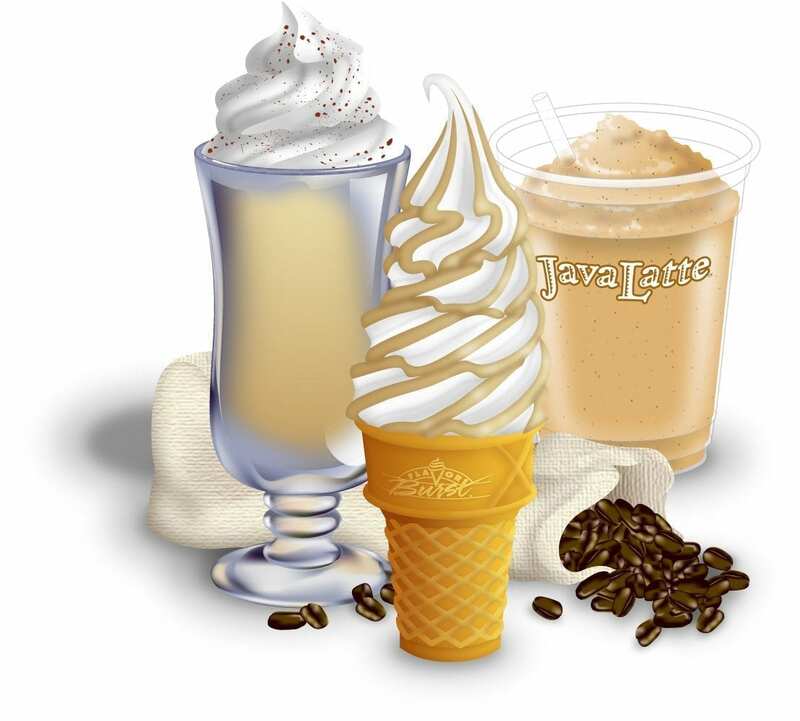 The Flavor Burst concept has been widely shown to increase existing soft-serve sales by up to 500 percent! In fact, many vendors have been able to recover their equipment costs within a matter of a few weeks. 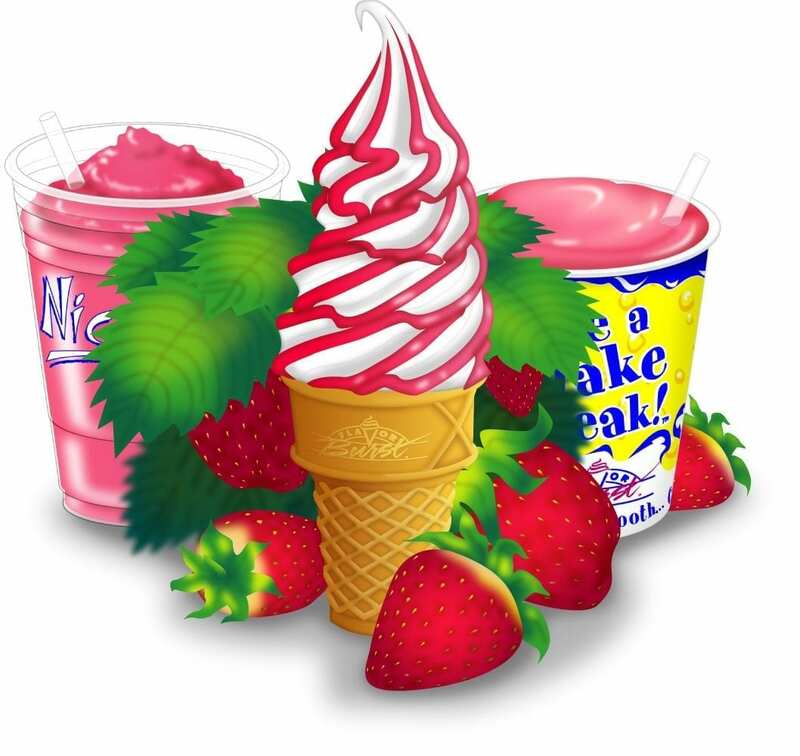 Attract kids and adults alike with a variety of delicious tastes — Chocolate Swirl, Strawberry, Butter Pecan, Bubble Gum, Blue Goo, Green Apple — more than 30 flavors in all! See What Flavor Burst Can Do For Your Business! Test out Flavor Burst in our test kitchen. We have several Flavors to try and find the right fit for your customers. Come over and see how it works!